crystals dancing across the floor - what's left of a tango perhaps... Nice! When do we find out the answer to this one? The answer will be revealed on Saturday. 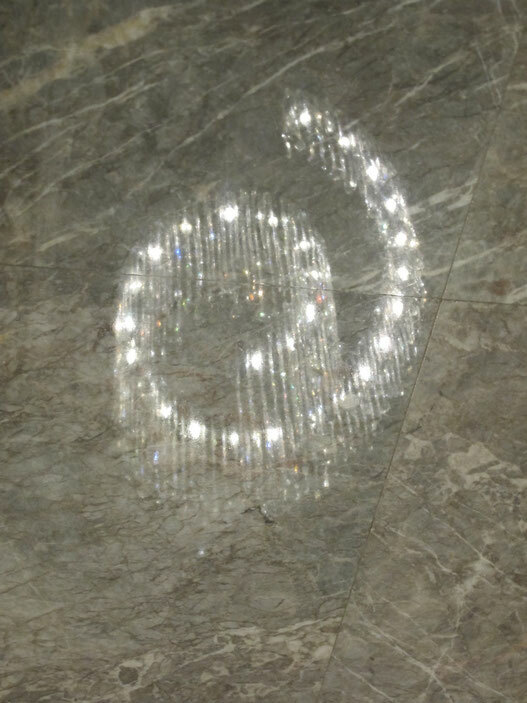 The answer to the Eyellusion is: A reflection of a chandelier on a marble floor. We had a bit of a Brain whatchamacallit on Saturday. Suzi had it almost nailed, only that it is in fact a reflection.